We know Datchet is a hot bed of baking talent. So now is the time to prove it! Our theme for 2018 is Chocolate! 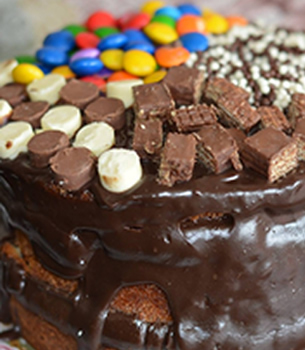 Let your imagination run wild and bake anything with a chocolate theme! Milk Chocolate, Dark Chocolate, White Chocolate - the choice is yours! 3. There will be two classes, one for adults, one for children aged 16 and under. Details below. 4. There will be 1st, 2nd and 3rd places in both classes. 5. Please bring cakes along by 1.30pm to the Bake Off tent. Any cakes submitted later than this time cannot be accepted for judging. 6. When you submit your entry, you will be asked if you are willing to donate it for sale at the Fete, otherwise you are welcome to take it home after judging. 7. The winners will be announced at 3pm or soon after. So, Good Luck and Happy Baking! See you at the Fete!